There are some very cheap flights to Guayaquil, Ecuador (GYE) at the moment. They're available throughout March, April, May, and June of 2012. It's definitely rare to see flights to South America this cheap. 2. 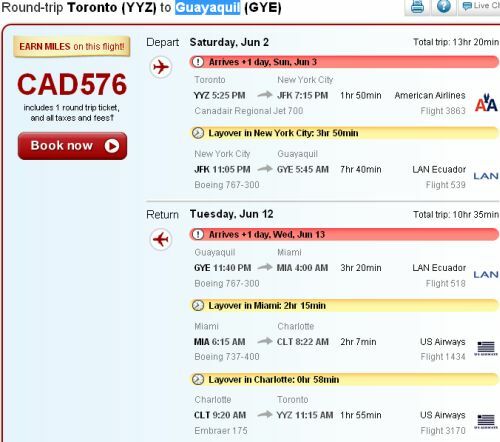 Search for a flight from Toronto (YYZ) to Guayaquil (GYE), departing and returning sometime in March, April, May or June of 2012. 3. Look for the cheap ones with good connections. The fastest ones I've found so far involve a 3.5 layover on the way there, and just over 3 hours of layovers on the way back. 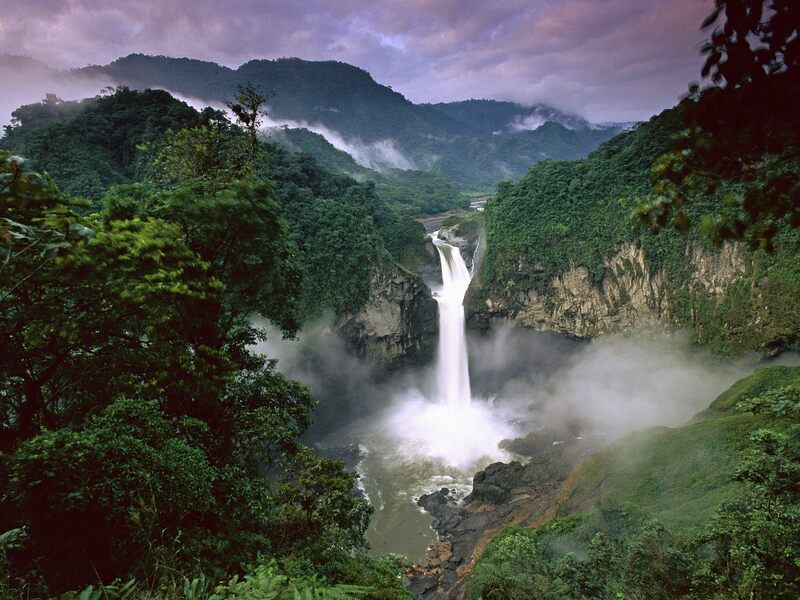 toronto, yyz, flight deals, south america, guayaquil, ecuador and gye.